Fresh shipments as they come off the truck, garden inspiration savings you’ll only get in email. Sound good? We have a great selection to pot them up yourself or preplanted creations. we'll provide the inspiration & plan! 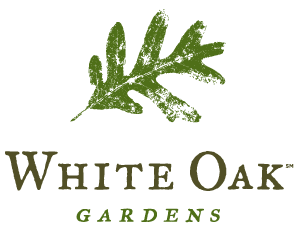 The White Oak Environmentals Team has experience & style. Schedule your landscape update, upgrade or start fresh. A gift all gardeners are sure to dig. Always stylish. Always fresh. Never expires.